Known officially as Jayakumar. Jayakumar served as the Deputy Prime Minister, Coordinating Minister for National Security and Minister for Law of Singapore, the Member of Parliament (MP) for the Bedok Constituency in the East Coast GRC, and also the Foreign Minister of Singapore. 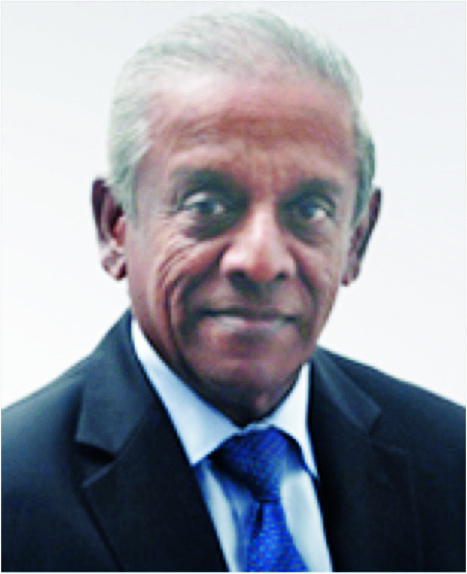 Shunmugam Jayakumar studied in Raffles Institution and University of Singapore where he graduated with a Bachelor of Law (Honours) degree, and later admitted to the Bar in 1964. He later received his Master of Law in Yale Law School and taught at the Faculty of Law in the National University of Singapore. He became the Dean of the Law Faculty. He later served as Singapore's Permanent Representative to the United Nation and High Commissioner to Canada. Shunmugam Jayakumar was elected as Member of Parliament and was later appointed as Minister of State for Law and Minister of State for Home Affairs. He became Minister for Labour and followed by Minister for Home Affairs a year after. He was appointed as Deputy Prime Minister in 2004 in Prime Minister Lee Hsien Loong's cabinet.